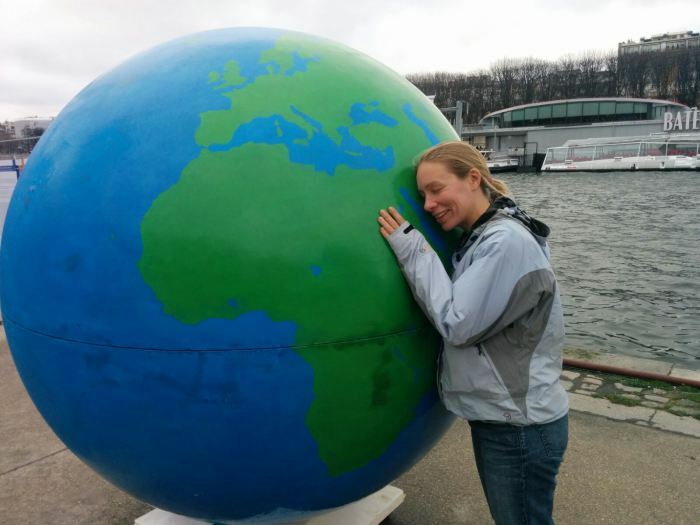 A climate activist in Paris following the announcement of the Paris Agreement. But it’s a solid foundation on which we can build. As Ban Ki Moon said: “The current level of ambition is the floor and not the ceiling”. The common transparency and rules that provide trust between countries have been outlined but need more work. Although this reporting issue – the need to shine a light on what governments are doing – might, to an extent, be taken out of the hands of governments, because private groups like Climate Tracker and the World Resources Institute are doing their own calculations and increasingly governments have nowhere to hide. John Niles who teaches greenhouse gas accounting at the not-for-profit Greenhouse Gas Management Institute. In Paris, he launched an international partnership with similar trainers around the world called the Carbon Institute. They’ll educate a generation of greenhouse gas accountants who can do the work in every country the Paris agreement demands. And if countries can’t or don’t report properly, or try to hide what they are really doing, Niles says the same accounting skills can reveal the truth anyway: “Of course, we can check on governments,” he says. “Satellites can check CO2 in the atmosphere … they can measure the size of a forest and take multidimensional pictures … they can create a pretty good picture of what a country is doing,” he says. In addition, there is a framework for new finance, providing poor countries with access to the investment needed to leap-frog dirty energy and accelerate access to renewable energy as well as funding to adapt to the impacts. Rich countries have promised that by 2025 they will set a new goal for climate finance “from a floor of $100bn per year”, the figure first pledged at the Copenhagen climate talks six years ago. However, the commitment was offered as a non-binding decision that accompanied the binding text. Finally, the agreement includes efforts to address the impacts of climate change and deal with irreversible damages. This was a big concession made by the US in the end and should be applauded. This ought to mark a turning point in how the international community prepares for and responds to extreme weather events. Crucially, the Paris Agreement contains a clear and science-based long-term goal. This is given teeth by a mechanism that ramps up ambition every 5 years, starting in 2018. These 5-yearly reviews are the only real teeth the agreement has because the targets themselves have to sit outside the legally binding part of the document (so the deal doesn’t have to go to the US Congress where it would inevitably be scuppered). Also, any failure in terms of the implementation of emissions reductions won’t lead to any sanctions. Instead, the whole idea is that peer pressure holds countries to account and builds the trust that would hopefully lead them to agree to deeper cuts over time. Far from the ideal of course, but there is no doubt the agreement sends a strong signal to business and investors that there is only one direction of travel. It makes clear that developed countries should continue to lead, but shows that the world is acting together. There is the sense that we now all share a common direction, but with an acceptance that countries will travel at different speeds. The long-term goal itself is ‘to reach a balance between anthropogenic emissions by sources and removals by sinks of greenhouse gas (GHG) emissions in the second half of the century.’ This effectively means net zero GHG emissions, whereby anthropogenic (human-caused) GHG emissions will be reduced to the maximum amount possible whilst simultaneously driving towards the removal of greenhouse gases from the atmosphere until such at time that emissions are low enough to be absorbed by carbon sinks (for example, creating carbon sinks through reforestation programmes). This is way beyond expectations. Personally, I would have liked to have seen an interim goal of net zero carbon emissions by mid-century written into the agreement (in line with the Avaaz campaign for 100% clean that I’ve been actively involved in), but this longer term goal that has been adopted covers all GHG emissions and is consistent with protecting the planet from dangerous global warming. So fossil-fuel-based electricity generation without CCS will need to be phased out by mid-century if we are to limit temperature rises to 1.5°C. 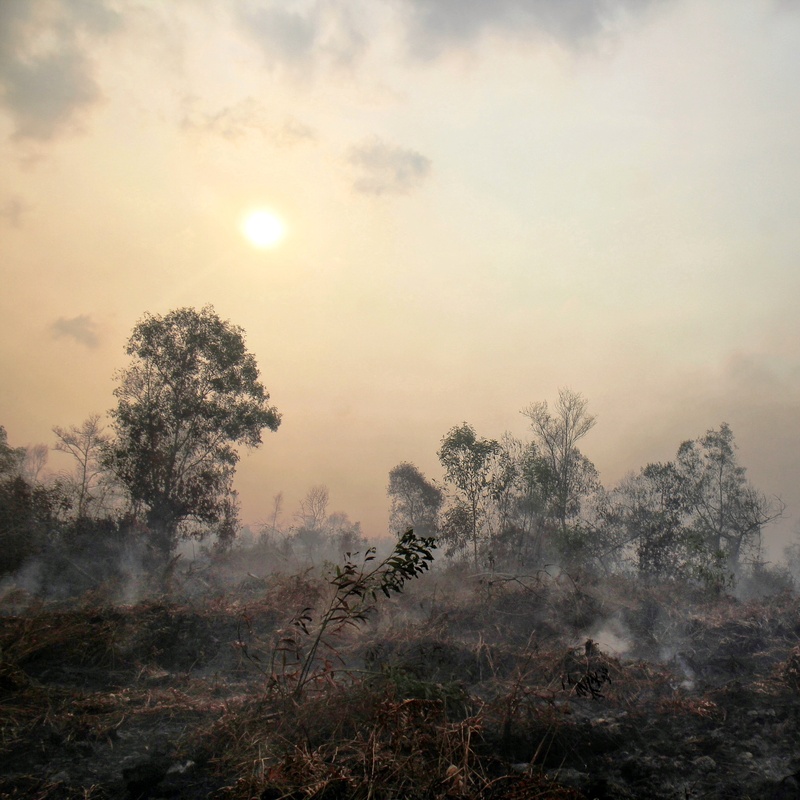 Transformation of other sectors and enhanced carbon storage like that achieved by increased landscape restoration will also be required to offset other emissions, especially if removals are to be maximized. By way of further criticism, Monbiot claims that the “UN climate process has focused entirely on the consumption of fossil fuels while ignoring their production.” He alleges that “delegates have solemnly agreed to cut demand (by focussing on reducing emissions from burning fossil fuels, rather than keeping them in the ground in the first place), whilst at home still seeking to ‘maximise supply’.” His prime example, of course, being the UK government’s legal obligation, put itself under the Infrastructure Act 2015, to “maximise economic recovery” of the UK’s oil and gas. He’s right of course. The role of government in the modern economy is to set long-term goals and then put the right policies in place to give the market the steer it needs. Something the UK Government is failing to do with its proposals to review – and essentially bring to an end – support for rooftop solar through the Feed-in-Tariff (FiT). For him, that means no more drilling or mining in new areas, the Arctic will now have to be completely off-limits, as will the Powder River Basin of Montana and Wyoming, the pre-salt formations off Brazil, and the oil off the coasts of north America. According to McKibben, we’ve got to “stop fracking right away (in fact, that may be the greatest imperative of all since methane gas does its climate damage so fast)….The huge subsidies doled out to fossil fuel have to end yesterday, and the huge subsidies to renewable energy had better begin tomorrow. You have to raise the price of carbon steeply and quickly, so everyone gets a clear signal to get off of it.